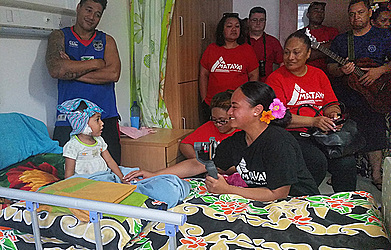 Sick children and their guardians were treated to a cultural performance recently by the Matavai Cultural Arts group. The cultural group also gave presents and cash to the sick in the paediatric ward at Moto’otua Hospital. Maryjane Schwenke, co-founder and co-director of the Matavai Cultural Arts and former Miss Samoa and Miss South Pacific, said the cultural performance on Wednesday is a legacy of the late Manamea Apelu-Schwalger, who was an advocate of breast cancer awareness and visited the sick children last year. 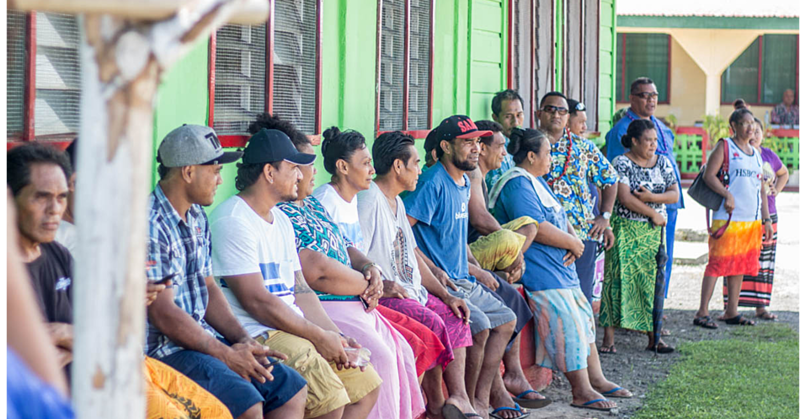 Fiu Taalefili, whose son is a patient at the hospital, expressed his gratitude for the cultural group’s singing and dancing and presentation of gifts to each of the sick children. “We pray for God’s blessing upon each and every one of you for your generosity, it is greatly appreciated,” he said. Faamamalu Fatuapule Laupama, mother of 10-month-old baby Seeti Laupama who was admitted with fever and cough, said the group’s performance and gesture was an early White Sunday present. “I am very thankful to the group for sharing some light in the usual mood of this hospital, which is always just depressing and worrisome, due to the condition of the sick patients but they have brightened up our days. “The gifts they gave was an early White Sunday present for my baby, I only wish them God’s blessing for their caring for people they don’t even know,” she said. Ms Schwenke said that it was evident during their visit that the group’s performance uplifted the spirit of many of the sick children. “We just met a child that does not know whether he is going to make it or not. For most of us, we argue about trivial things, and yet most people are fighting for their lives. But for a child who has not lived his life yet, it is more tragic. 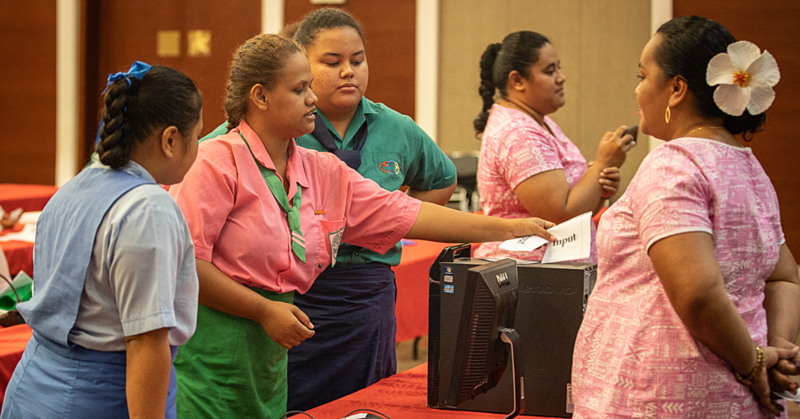 “But also Samoa is about to celebrate every child on the island due its annual event of White Sunday, it breaks my heart to see that there will be some children experience such joy of participating in church celebrations. 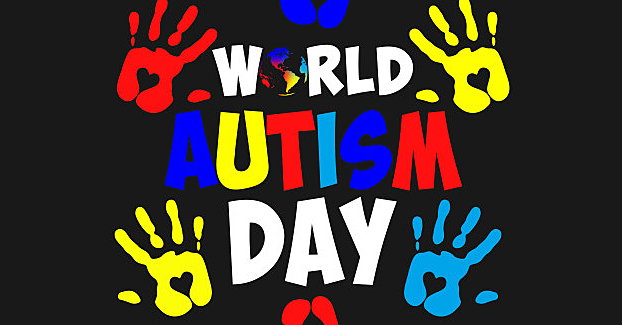 But most importantly be part of the occasion due to illnesses they are facing,” she added.